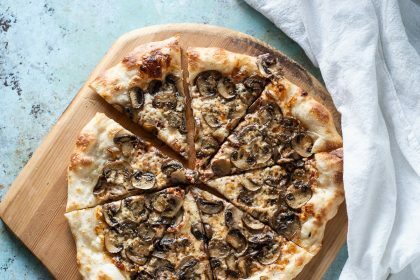 This roasted mushroom pizza is seriously good. It’s so much better than the average mushroom pizza. So much deeper and better and more flavorful. 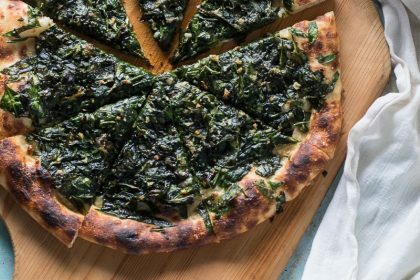 I know, I know, it’s spinach pizza. It sounds kind of boring. We’ve all seen some version of this before. But this one is different from all of those sodden, cheese heavy versions. Last week was the first week for peas at the market. It’s a time I look forward to every year, and it never seems to come soon enough. 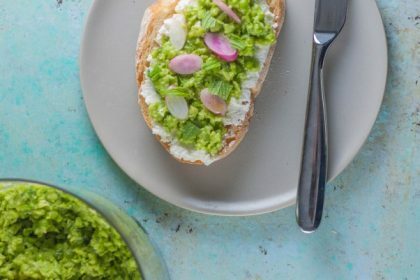 There’s something special about really fresh peas.